Huawei Watch 2 Classic Review - Buy or Not in Apr 2019? 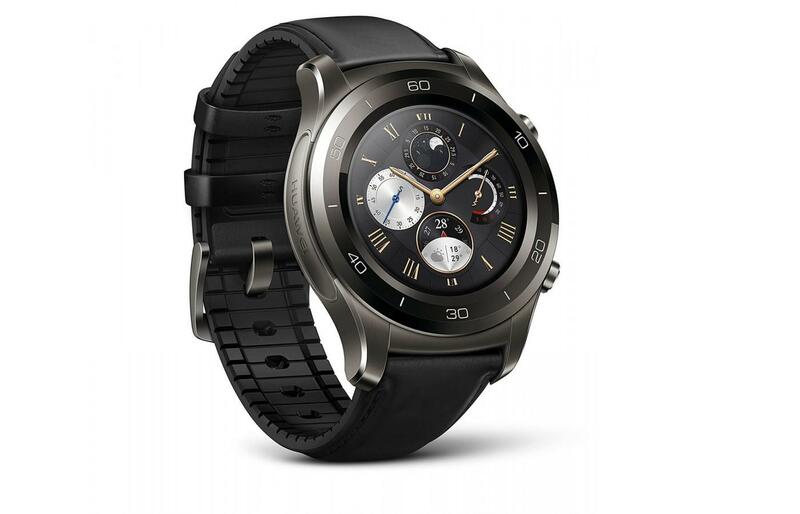 The Huawei Watch 2 Classic is a smart sports watch with a built-in heart rate monitor and GPS. It uses cutting-edge technology and a classic look and can work as a stand alone watch or as a companion to a smartphone. It has a stainless steel body, ceramic bezel, and a comfortable strap that is either rubber or has leather on the top and rubber on the underside. The band is replaceable with any 22mm watch strap. In addition to the heart rate tracking and GPS for maps, it has built-in WiFi, as well as a barometer, gyroscope, compass, and photo viewer. Its MP3 player can play music offline so that the wearer does not need an Internet connection when going on their daily runs. Its near field communication allows Android Pay to work, which can make credit card payments using the watch. It is IP68 water and dust resistant for better durability and has a long lasting and fast charging battery. To help wearers reach their goals, a Workout Coach will evaluate their performance, set recovery periods, and help them set goals. There is also a Smart Assistant for smartphone notifications, calls, and texts, and its Android Wear 2.0 operating system allows the watch to run apps for a variety of activities without needing to stay connected with a smartphone. If you are looking for a nice-looking fitness watch with lots of built-in functionality that can track all your different activities, read on to see if the Watch 2 Classic is the right watch for you. The Huawei Watch 2 Classic is wearable for just about any activity except for the ones that involve swimming. Not only is it good enough for runners to wear on trails, daily runs, or long distance runs, its Android Wear 2.0 capabilities allow users to install native apps or connect with smartphone apps that can track gym workouts, indoor and outdoor cycling, golf, sports, and more. The Watch 2 Classic's basic features help runners track their current and daily stats and are measured using its built-in sensors. Pace is determined by the accelerometer. Distance is measured using the GPS. The duration of the workout is timed using the watch's internal timepiece. This watch has many advanced features that help serious runners with their goal setting. It has a built-in heart rate monitor to track heart rate and estimate the number of calories burned during runs and other activities throughout the day. The gyroscope and compass help the watch detect direction and the GPS helps the apps that use maps work properly for finding directions or tracking hikes. It has built-in Near Field Communication (NFC) for credit card payments. It is IP68 dust and water resistant, and can go up to 1.5 meters below the surface for up to 30 minutes. It also has an MP3 player and speaker for listening to music offline, a photo viewer, voice commands, a Smart Assistant for smartphone calls, texts, and notifications, and a Workout Coach for setting goals. All of the components have great accuracy. The heart rate monitor is very accurate. Testers found that the numbers were very similar to the Apple Watch's heart rate monitor, which is known for its high accuracy. The voice recognition is also very accurate and easily recognizes voice commands. The GPS and maps work well and correctly detect and track the wearer's current location. The clock and stopwatch keep time correctly. 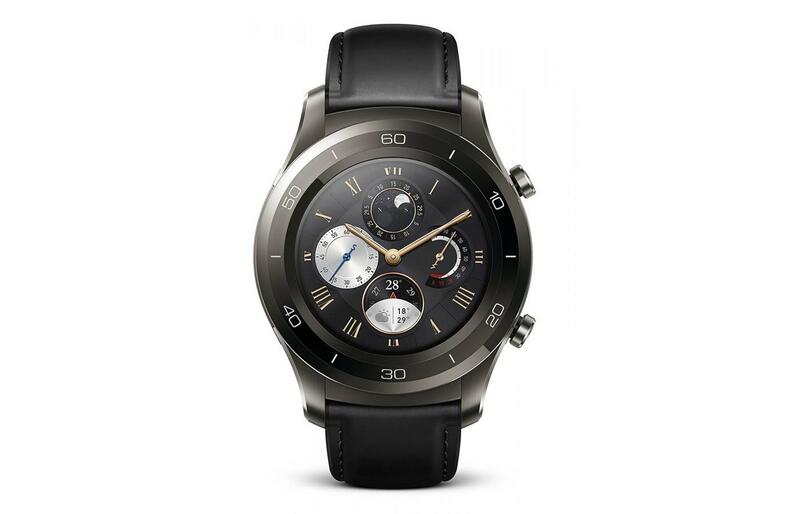 The Huawei Watch 2 Classic has lots of connectivity options which only take a few seconds to a minute depending on conditions. It can use 4G or WiFi to connect to the Internet. It uses its GPS to find its current location. It has Bluetooth, but reviewers suggested using the iOS or Android smartphone's Android Wear app instead of Bluetooth for watch pairing. Android users did not have problems, but some iOS testers reported that the watch did not work well with their smartphone. There are many Google Play store apps that work on Android Wear 2.0 smart watches. Included is Huawei's Workout app. Some of the most popular apps include Strava for cycling, Runtastic, Foursquare City Guide, Uber, Android Pay, Facebook Messenger, Google Maps, Google Messenger, Google Music, Google Translate, and game apps. When asked, be sure to choose the Heartbeat app (not the Fit app) for heart beat detection. The watch tends to lag if too many apps are installed, so users should choose a few apps that seem the most useful and stick with those. Reviewers found that the Watch 2 Classic is very comfortable to wear. It is thicker than the previous edition because of all its built-in features, but it does not feel heavy to wear and is actually lighter, weighing only 57 grams, or 2.01 ounces. Depending on the color chosen, the band has rubber on the underside (Titanium Grey) or the entire band is rubber (Carbon Black, Concrete Grey), so it feels comfortable against the skin. True to its name, the Huawei Watch 2 Classic has a classic look to it. Currently available colors are Carbon Black, Titanium Grey, and Concrete Grey. It measures 48.9 mm by 45 mm by 12.6 mm, or 1.93 inches by 1.77 inches by 0.50 inches. Around the ceramic bezel are dashes for the clock numbers that end in 5 and numbers for the ones that end in 0. There are two buttons on the ride side of the watch. The Corning Gorilla Glass-covered screen is slightly smaller than the previous version, so it looks good on smaller wrists as well as larger ones. The band that comes with the Titanium Grey watch is leather on the front so that it looks stylish yet professional, and the other colors come with a rubber band that matches the color of the watch. The band can be swapped with another style that matches a different outfit. Some reviewers thought that it looked slightly masculine and wanted Huawei to make a ladies' version. The Watch 2 Classic is made of durable materials. It is dust and scratch resistant and can withstand contact with harmful dust, rain, showering, splashing, and accidental submersion for up to 1.5 meters and up to 30 minutes (IP68). The frame is made of sterling silver, which can withstand being dropped, and the face display is protected by durable Gorilla Glass. The ceramic bezel and leather/rubber strap both look high end and similar to what is used in luxury watches, although a few testers had problems with them chipping or breaking. The charging cradle and cable have mediocre durability, so users will need to be careful not to break or pull on them. The face has a 1.2” (3 cm) round AMOLED touch screen that can display 16 million different colors. It has a resolution of 390 pixels by 390 pixels and a density of 326 pixels per inch. The screen is clear and easy to read. Some reviewers felt that the faces that come with the watch clash with the design, but there are lots of third-party watch faces to choose from if you want to customize the look of the watch. There are faces for the clock, stats, different apps, message notifications, finding the GPS, and more. The Titanium Grey watch's band is a high end-looking leather band with rubber underneath for comfort. The Carbon Black watch has a black rubber band and the Concrete Grey watch has a dark grey rubber band with white spots to resemble the pattern on a rock. For people with different preferences, it can be swapped out for any 22mm band. It adjustable to get a more exact fit and testers found that it naturally goes back to the wearer's wrist shape if it is taken off and put back on again after charging. 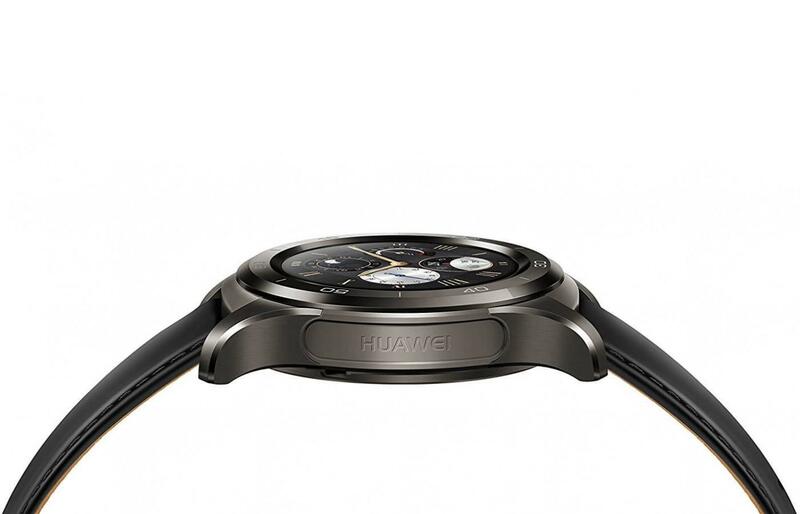 The Huawei Watch 2 Classic is available in a single size that was designed to fit most wrists. The face size works well on all wrist sizes, although it appears a little large on small wrists. The strap has a standard 22mm width, so if the band that comes with the watch is too long or too short, it can be replaced. This watch is somewhat easy to use, but some testers felt that the interface could be more customizable or intuitive. It has a touch screen to navigate (tap and swipe) through the different faces and two buttons on the right side. The top button launches apps, works as a back button, and launches the Assistant. The bottom button is customizable to launch whichever app you choose. The buttons do not scroll, so a few previous smartwatch owners took some time to get used to that. The watch can lag if too many apps are installed, so it is better to have a few favorites than to keep installing apps until the 4 GB of disk space is full. 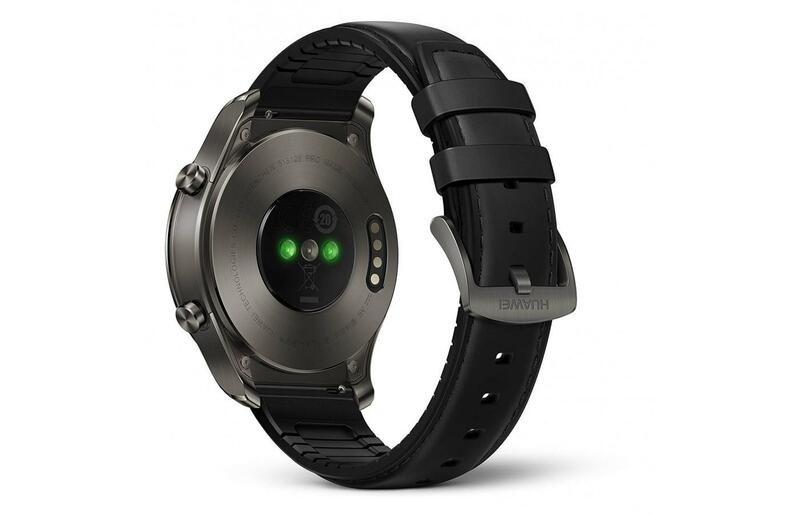 The Watch 2 Classic is powered by a single rechargeable 420mAh lithium ion battery. With normal use, it can last around a day and a half between charges. Under constant GPS usage, it only lasts ten hours. There are ways to make the battery last longer, such as dimming the brightness, disabling the always-on feature, and disabling tilt to wake. In watch mode, by disabling everything except the clock and pedometer, it can last around three weeks. The watch comes with a charging cradle that makes it easy to line up the pins in order to charge it, and the battery is fast charging. At full price this watch costs around one-and-a-half times the price of the average fitness watch. Making up for this cost are its many features that are built into the watch (heart rate monitor, GPS, WiFi, NFC, accelerometer, gyroscope, compass, MP3 player) so that it does not need to stay connected to a smartphone to work properly. Also a plus is its Android Wear 2.0 operating system, which makes it compatible with an ever-growing number of apps for just about any activity except those that involve swimming. The full price is a bit high for a lot of people, but it is reasonable for all of its included features. Current prices range from 11% off to 26% off the original price. There are many compatible accessories for the Watch 2 Classic. Wrist straps and watch bands are available in many different lengths, colors and materials and can work as long as they are 22mm wide. Screen protectors protect the glass against things like fingerprint smudges and scratches. There are also replacement charger cradles and cables in case the one that comes with it gets lost or breaks, and USB wall adapters so it can quickly charge in the wall instead of needing to be plugged into a computer.